Between 1841 and 1930, legal education and the requirements for admission to the profession in New Zealand were the responsibility of the Judiciary of New Zealand pursuant to a number of Colonial Ordinances and Acts of Parliament, and prescribed in consecutive sets of Judges’ Rules. After the establishment of the University of New Zealand in 1870, the practical implementation of the admission requirements was progressively delegated by the Judiciary to the University. 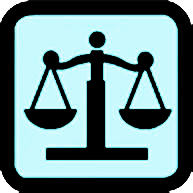 ...a Council of Legal Education representative of the Judges, the leaders among practising barristers and solicitors, and the University teachers of law is the most satisfactory method for providing and for watching over a course of legal education which shall comply with the requirements of a good professional education, and at the same time satisfy the demand for a training which is strong enough on the practical side. Accordingly in 1930 the Council of Legal Education was established. The original Council consisted of six members; two judges of the Supreme Court, two representatives of the New Zealand Law Society, and two law professors or teachers from the University of New Zealand. The Council was given recommendatory powers for the purpose of enabling the University to discharge its functions, which concurrently with the establishment of the Council had been given the responsibility for prescribing and conducting the necessary legal qualifications and examinations. In 1961, the University of New Zealand was dissolved and the constituent Colleges established in their own right. In order to preserve uniformity across law degrees, the maintenance of standards, and to secure input from representatives of all, rather than one particular category of stakeholder in legal education, the Council of Legal Education was reconstituted in 1961 as an independent statutory body to take over the role of defining, prescribing and arranging for the provision of courses of study, including practical training, for those persons (from New Zealand and overseas) wishing to be admitted as barristers and solicitors, and generally to supervise legal education in New Zealand. In 1961 the membership of the Council consisted of representatives from the Judiciary, the New Zealand Law Society and the Law Schools. By 1982 membership had been extended to encompass a District Court Judge and law student representation, and by 1990 a non-lawyer member nominated by the Minister of Justice. A major change to the operation and funding of the Council occurred in 1990 with the disestablishment of the University Grants Committee, as from 30 June of that year. The Council’s activities had previously been carried out within the framework of the University Grants Committee and it had been a source of funding for the Council which was no longer available, although the Council was subsequently given the power to charge fees for its services. (a) Its expanded the membership of the Council to strengthen the interests of the public without affecting the balance between academic and professional legal interests which had always been a characteristic of the Council. (b) It established the Council as body corporate with perpetual succession, a common seal, and the rights, powers and privileges necessary to carry out its functions. (c) It established the basis for the Council to be subject to Part V of the Public Finance Act 1989 as if it were a Crown entity specified in the Fourth and Fifth Schedules to that Act. (d) It authorized the charging of fees for work done for services performed by the Council and for entry into the Council’s examinations. (e) It made requirements of the Council as an employer, including consultation with the State Services Commission. (f) It set out the Council’s financial responsibilities and exempted it from income tax. (g) It set out the Council’s duty to report annually to the Minister of Justice. The Council operated under the Law Practitioners Act 1982 until 2008, when the Council was continued under the Lawyers and Conveyancers Act 2006. That Act came into force on 1 August 2008. The Council was renamed the New Zealand Council of Legal Education.